Wheelchair ramps are a valuable addition to a house with a member who uses a wheelchair for mobility. However, a ramp needs to be built with the user in mind. 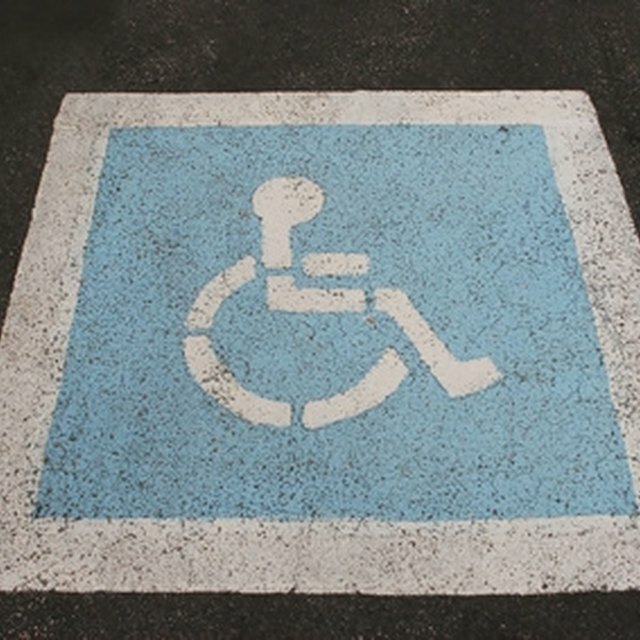 If a manual wheelchair is used and a ramp is too steep, it can be very difficult to get up the ramp. Ramps can be designed to blend into the décor of the house and provide the assistance needed. Wheelchair ramps can make a home much easier for a disabled person to access. Determine if a concrete or wood ramp would best suit the application of where the ramp will be located. Wooden ramps are often selected for home applications as they are easier to landscape around. For the purpose of these instructions, a wooden ramp will be the example. Acquire a building permit, and review the requirements of building a wheelchair ramp in the zoning area where the ramp will be. Stake out the desired location of the ramp for both length and width of the ramp. The ramp platform should be 36 inches wide to allow for easy maneuvering. Design the slope of the ramp. The ramp slope recommended by the ADA is 1:12. So for every 12 linear inches of the ramp, the slope can rise no more than an inch. A ramp ratio of 1:12 is acceptable for motorized wheelchairs; however, a ratio of 1:18 is easier for individuals in a manual wheelchair. Using a post hole digger, dig holes for the posts that will support the ramp. A post should be placed every along every three feet of the ramp. Place the posts in the holes, and set them with concrete. Using a level and some string, set a plot line for the rise of the ramp along the poles. The string will be used as a guide while building and placing the ramp floor. Set the outside frame of the ramp with 2x4 lumber. Take care to follow the angle set by the guide string. Cut 2-inch by 4-inch lumber 36 inches long, and place it across the open center of the ramp. Secure each side with wood screws to the outside wood support frames. These boards should be placed every two feet. Place ¾ inch plywood on top of the ramp support frame, and secure to the frame with wood screws. Make sure that plywood is butted closely at the seams to avoid ridges in the ramp. Measure 36 inches from the ramp floor, and mark it on each of the posts. Attach a hand rail along the ramp at 36 inches where the marks are. Handrails should be installed on both sides of the ramp. Seal all wood used in construction of the ramp with a quality wood deck stain and sealant to prevent damage from the weather.